The only team you can truly compare to Alabama is Alabama itself. So compared to previous contests, this Alabama team that played Saturday didn’t look so good. Call it what you will, but this game against Mississippi was a war. They gave Alabama their toughest challenge so far this season, especially the tough Bulldog defense. And in this game, Alabama won, but didn’t look great in doing it. For the comfort of the Mississippi State fans, an objective writer must admit that Miss. State was not just playing Alabama, but the refs. Two critical mistakes could have made the game more exciting and perhaps made the game much closer. The first was was Damien Harris’ no called fumble that clearly was a fumble and the second was a phantom block in the back call that was missed taking a sure score off the board for the Bulldogs. Now neither of these calls cost State the game, Alabama would have won had these calls gone the Dog’s way. If you’re objective you have to admit this too, so while State was robbed of those two calls, clearly the refs did not cost them the game. Still it would have made Alabama’s win a little less lopsided and made them look a little worse. 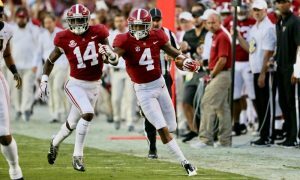 Now while to some it may seem foolish to say that Alabama didn’t look great in a 24-0 win over the nation’s #15 team, it didn’t look great by the standard which Alabama has set for itself. They have averaged over 500 yards offense in every game, well except for this one where they managed just 305 yards. Tua, who has looked like a perfectly programmed robot for much of the season proved that he is indeed human after all. He threw an interception, a dreadful looking one, had a fumble to boot and proved that he can be hurt and yes, he does bleed. Tua had been averaging over 262 yards a game against teams so far this season, but managed just 164 against the Dogs in longer than usual playing time. He’s averaged three touchdown passes a game, but in this one he just got just one. As for the nation’s deepest pool of running backs, Alabama has averaged over 242 yards a game against all teams, but against the Dog’s defense, gained just 142. 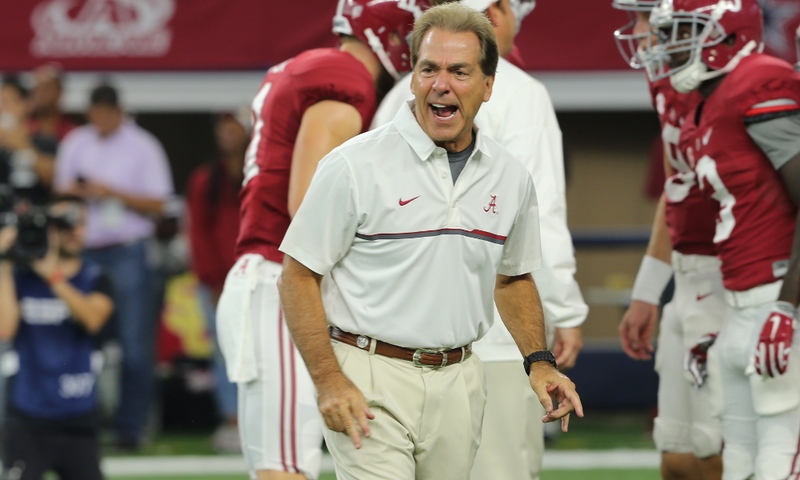 Lastly on Alabama’s so so night on offense, so far this season they’ve averaged over 58% in converting third downs. That led the nation. On Saturday against the Dogs, Alabama converted just 4 our of 12 for a less than stellar 33.3% conversion rate. 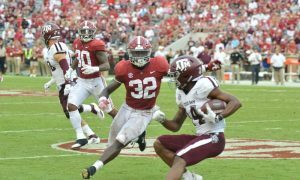 What did look good was the Alabama defense, though aided in part by refs, they did manage to pitch another shut out and make sure that Miss. State was really never in a position to threaten the Tide for the win. Overall, Alabama still looked tired from their war with LSU and it was obvious that Tua entered the game far from 100% healthy. 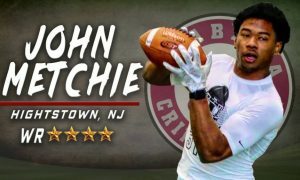 If Alabama was wise, they’d rest him against the Citadel team, who they could beat with a tuba player from the band playing quarterback. Better to risk a tuba than a Tua in a meaningless game where certain folks obviously need to heal. While it will irk Nick Saban that writers like me are saying the Tide looked bad in a 24-0 win over a nationally ranked team, sadly it is the truth. With tougher games on the schedule coming up, this is either reason for concern or a wake up call for this Alabama team.